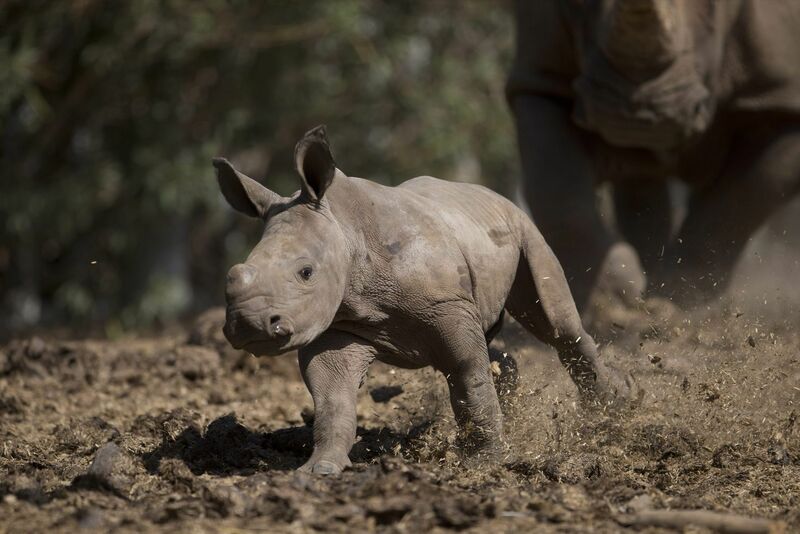 After much patience and advice on rhino fertility, the Safari happily announced the first female rhino birth in 22 years. 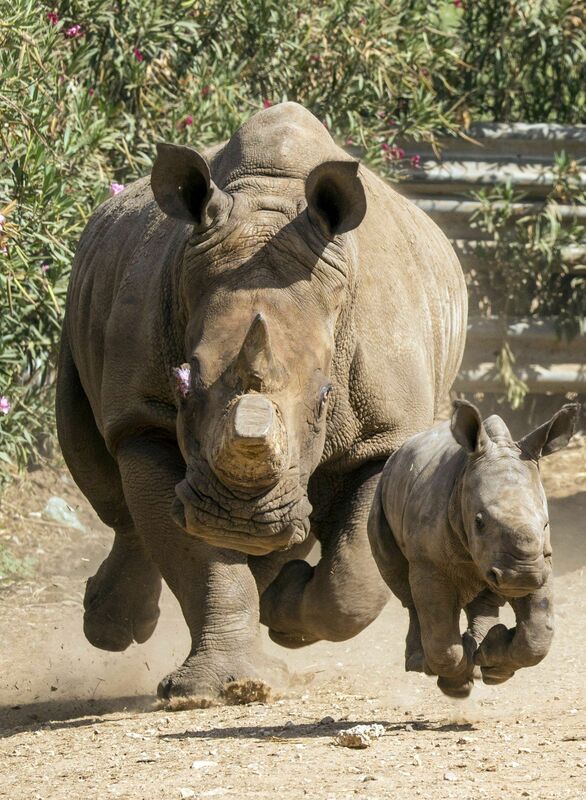 Congrats to Tanda and Atari, proud parents of the first White Rhino female to be born at the Ramat Gan Safari Park in nearly 22 years. The newborn is cute as a rather large button, at around 50 centimeters in height and about 45 kilos in weight – which is 100 pounds. "The pregnancy lasted 18 months. We knew to the day because we saw them mating," says Sagit Horowitz, spokeswoman for the Safari. They also knew that Tanda's birth was imminent for a number of reasons: Not only the theoretical due date, but the rhinoceros began to push away her most recent offspring, a 2-year old male named Tibor. As Tanda had been isolated for some time, to treat a chronic condition of eye inflammation, her rejection of her son had been easy to observe, Horowitz explains. Tanda also had a boy baby seven years ago, Terkel. 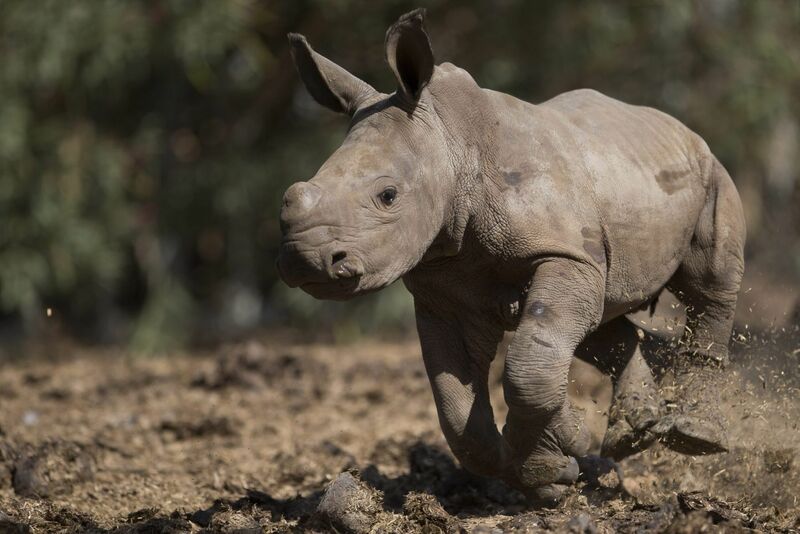 The only question had been whether her third calf would be a boy or a girl, and it matters keenly to the future of the Safari rhino pack, which the zoo manages with the long-term in view. 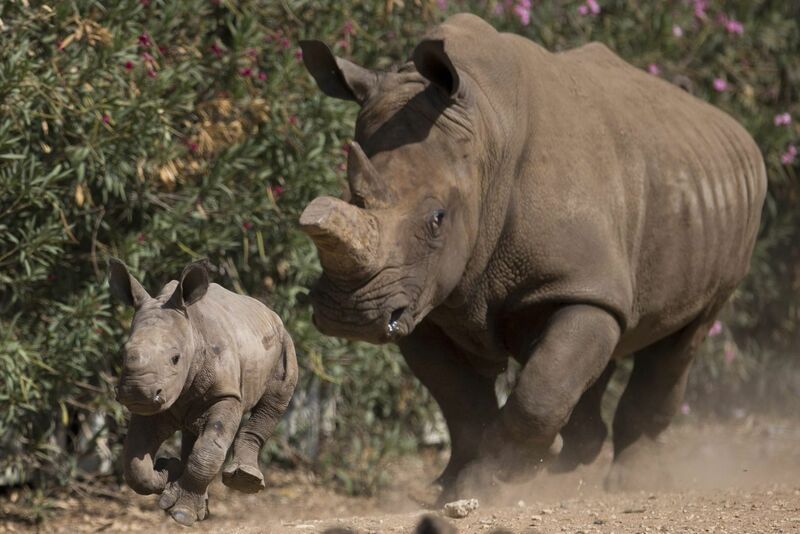 The Safari rhinoceroses live free-range in the large park the zoo occupies in Ramat Gan. Visitors can drive through the park, along a designated route, and with the windows closed. Not closing the windows is not illegal, it's just dumb. Before Tanda started proliferating, the Safari had been worried. "Zoo populations are crucial to the survival of the species," Horowitz explains. 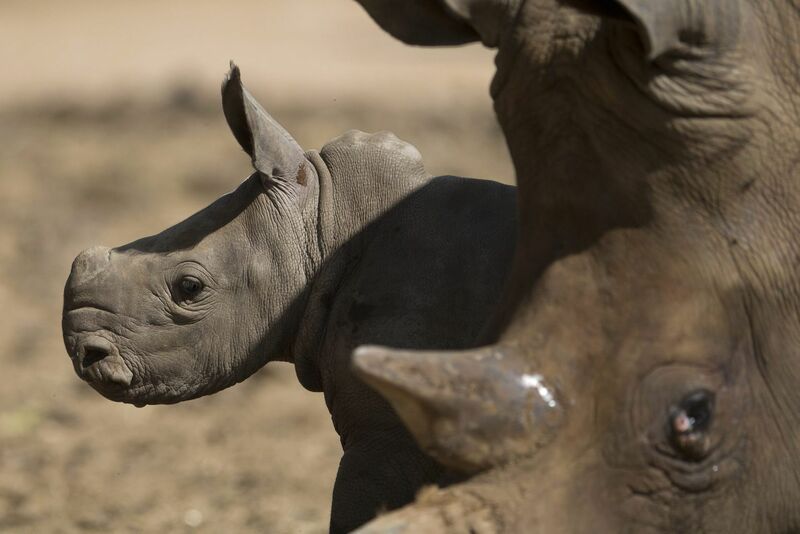 Their rhinos had been breeding beautifully – and then stopped. So, some 13 years ago, the Safari invited a team of European experts on animal fertility, who diagnosed that the incumbent females had simply become too old. They also made suggestions about the males. In rhinos, one male dominates the herd and mates with all the females. But it turns out, explains Horowitz, that the dominant male will only do his thing, so to speak, when there's another (subordinate) male around to bully. If there isn't, if the dominant male is alone with the harem, he may not do the dirty. The European team made some suggestions (and while about it, took rhino sperm samples to freeze). 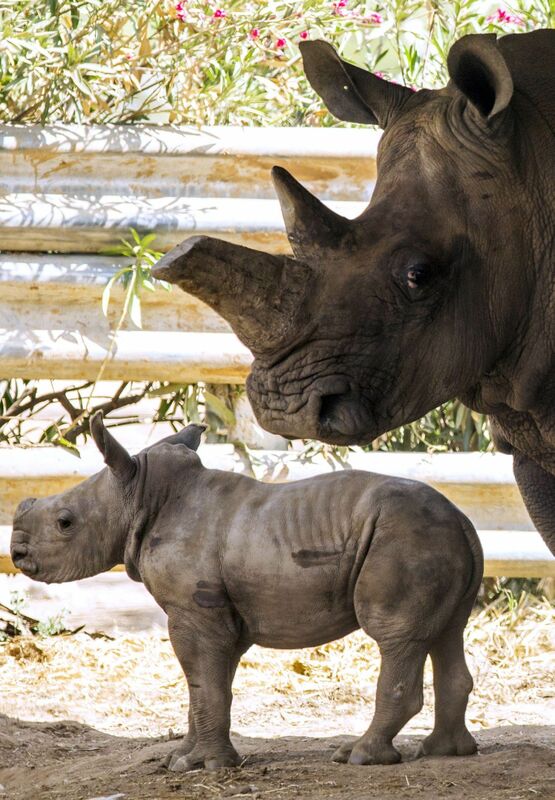 And, the Safari park brought in a new lady rhino with a new bloodline, Tanda, from South Africa. Even so, it took some more years until their new acquisition became pregnant. Now that Tanda has had a girl, the young'un may stay with the herd for life. The baby males certainly will not, lest they mate incestuously. There is no danger that the baby, who has yet to be named, will mate with her father. 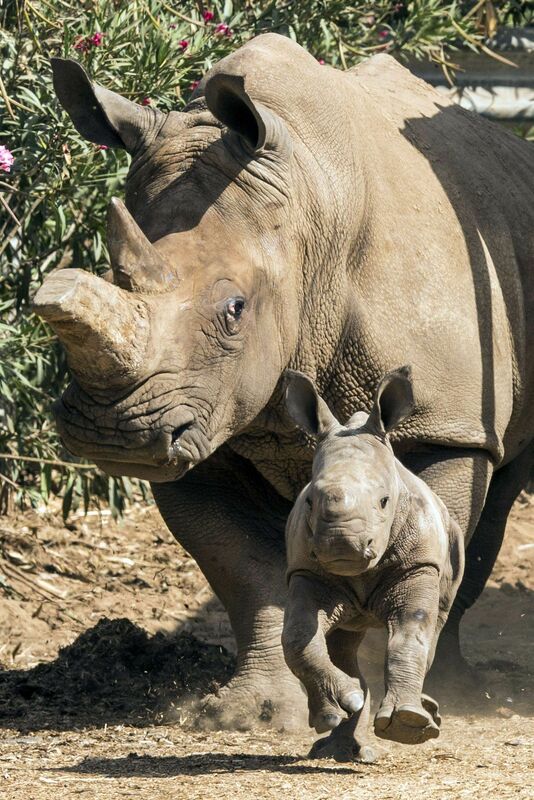 Reaching maturity will take her seven to 10 years, by which time her father will be a doddering oldster, explains Horowitz; by that time another of the Safari's four rhinos may become the dominant. However, there are other options that the Safari has to carefully consider. It may even decide to give away the baby girl and keep the boys, though that seems unlikely. "We manage things with the long-term good of the herd in view," explains Horowitz. For all the Safari's close watch on isolated Tanda, she ended up giving birth at night. "The zookeepers discovered the newborn baby the next morning," says Horowitz, and upon realizing its gender, crowed with delight. "This was great news!" Rami Tam, head of the African savannah area of the zoo, confirms that the tendency is to keep the girl and move Tibor and Terkel to other zoos that participate in the White Rhino reproduction project. Tanda and her baby are still in the enclosure, but will soon be released to the open savannah area, to join the rest of the rhinos and the other animals. The White Rhino is critically endangered. Some 98.8% of them are found in just four countries: South Africa, Namibia, Zimbabwe and Kenya. By the way, the White Rhino is not white. It is grey. Its name is based on misinterpretation of the Dutch word "wijde" ("wide" in English), due to the width of the rhino's mouth. Only about 20,000 White Rhinos survive, yet poaching not only hasn't stopped, it's soared from 83 rhinos in 2008 to 1,004 rhinos in 2013, says the Safari – adding that most of the poaching is carried out within nature reserves.